Inspired by the tropical state of Florida in the US, Florida Sun Estates is the newest master planned community in General Trias Cavite. Set to be the sunshine state of Cavite, Florida Sun Estates is composed of clustered developments – residential subdivisions, low rise residential buildings and commercial developments complemented by wide open spaces, lush greenery and resort-type amenities to bring the Florida lifestyle into your home. Establishing its presence south of Manila, Federal Land introduces the Oriental Garden Residences to be its first mixed use development in General Trias, Cavite. Enjoy the convenience of city living while preserving the carefree and laid back ambiance of Cavite. 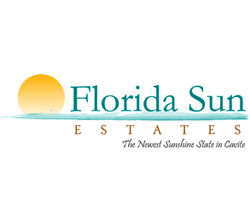 Introducing the first residential condominium village, the Florida Sun Estates. Experience a new way of living... a new lifestyle.